The Park-Smart Precinct 1 Plan will identify the highest priority areas of strategic park and trail projects to increase equality of access, improve community health, and build environmental resilience. Local parks and trails provide enormous benefits. Use of nearby parks and trails have mental, social and physical benefits including: lower stress, lower blood pressure, lower risks for heart disease and other chronic diseases, and increase sense of over all well being. Parks and trails can be drivers for equitable economic opportunity and community cohesion. In addition to their other community benefits, parks and trails can also provide critical green infrastructure to help cities meet environmental challenges including climate change. This Park-Smart Precinct 1 Plan will expand on the efforts of Precinct One, the City of Houston, and local groups such as Houston Parks Board, to increase access to high-quality parks and trails. The process will be particularly focused on identifying and addressing barriers to using local parks and trails for vulnerable and under-served populations. The plan will involve convening diverse local partners; assessing and modeling park resources, access and community vulnerability; and extensive community engagement to identify community priorities and key barriers to access. What are the goals of the Park-Smart Plan? Park-Smart Precinct One Plan will increase environmental and community health and resilience through expanding access to parks and greenways. 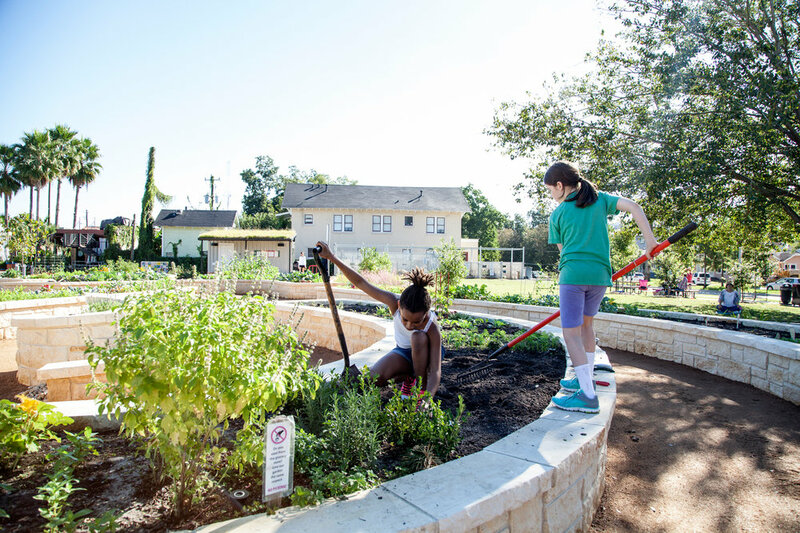 This plan will build on the efforts of Precinct One, the City of Houston, and local groups such as Houston Parks Board, to increase access to high-quality parks and trails. Who is leading the Park-Smart Plan? This is a collaboration of Harris County Precinct One Commissioner Rodney Ellis and The Trust for Public Land. From The Trust for Public Land, the project brings together mapping and planning experts, the Climate-Smart Cities team, Parks for People staff, the Center for City Parks Excellence, and leaders in creative place-making and community health. Houston Parks Board and Asakura Robinson are also partners in this effort. Representatives of local agencies and community groups will participate as members of a Steering Committee. This project is being funded by Precinct One and by a generous grant from the Houston Endowment. What is involved in the Park-Smart Plan? This project began in July 2017 and it will take approximately 18 months to complete. The early phases of the project will focus on community engagement including steering committee meetings, interviews and focus groups, speak out events, a precinct-wide telephone poll, and community workshops. Following community engagement, the focus will be on park and trail evaluations and a connectivity study. In addition to assessing park and trail resources and access, The Trust for Public Land will identify ways to integrate arts and culture into the process of developing parks engaging with local communities, and stewarding future public spaces. Ultimately, all of the inputs and analysis will be used to create a decision=support tool that will help Precinct One identfy the places where parks and trails can do the most to incrase environmental resilience and improve the health of vulnerable communities.